I visited the Dallas Terminal D Admirals Club twice, once in the evening (~8 pm at night) and once in the early morning (~6 am). It is large, with high ceilings! It can easily fit over 100 guests. The entrance/elevator divides this space into two. It’s mostly communal couch seating, but there’re some dining tables by the bar, and there looks to be a computer zone (sorry, super tired both times I was there). On both visits, it wasn’t busy. There’s also a limited entry area – the flagship club, which has more premium dining options (I didn’t go in, so obviously, I have no idea what they serve). Food The snack section closer to the bar area seemed sadder than the snack section on the other side both times. The evening selection was a pretty standard offering – some crackers, cheese cubes, cookies, and on the other side, soup. 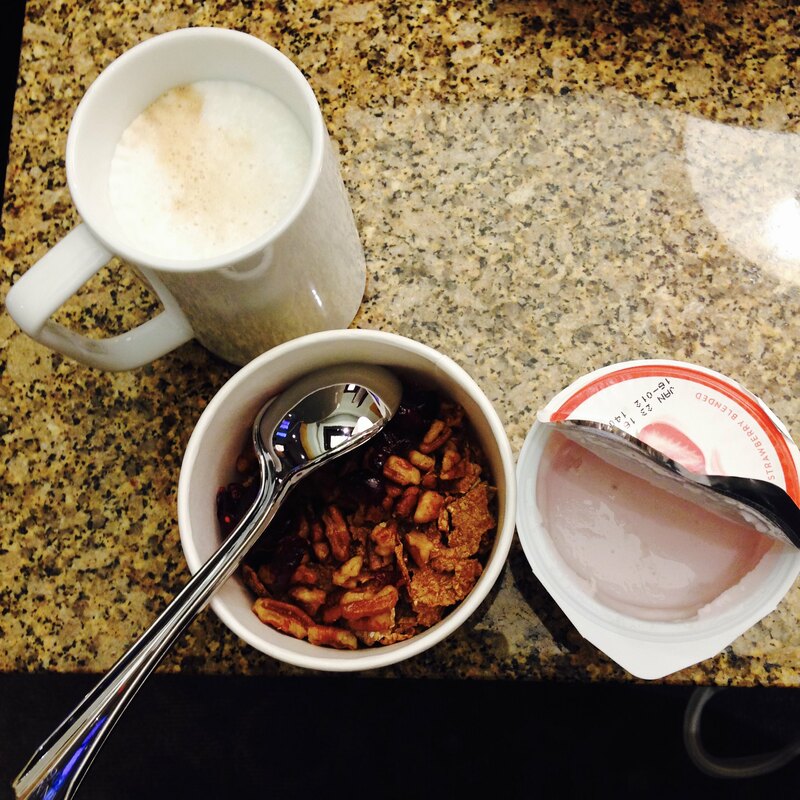 Breakfast was also serviceable – your regular bagels, cream cheese, granola, yogurt, etc. They serve Nestle coffee. I couldn’t find the soda machine. Maybe I was that tired. When I entered, I was given a drink chit for one alcoholic beverage. I am not sure if that’s their system – limiting alcohol to drink chits. In any case, I simply left my drink chit on one of the tables. Sometimes, couches are not the best places in the world for work. But at least the couches are rather comfortable. The wifi is password controlled, and you can either find it at the side tables by the couches, or upon entry at the upper level reception desk. I’ve read complaints about the speed of the wifi being slow, but I didn’t have any major problems with it when I was in the club. 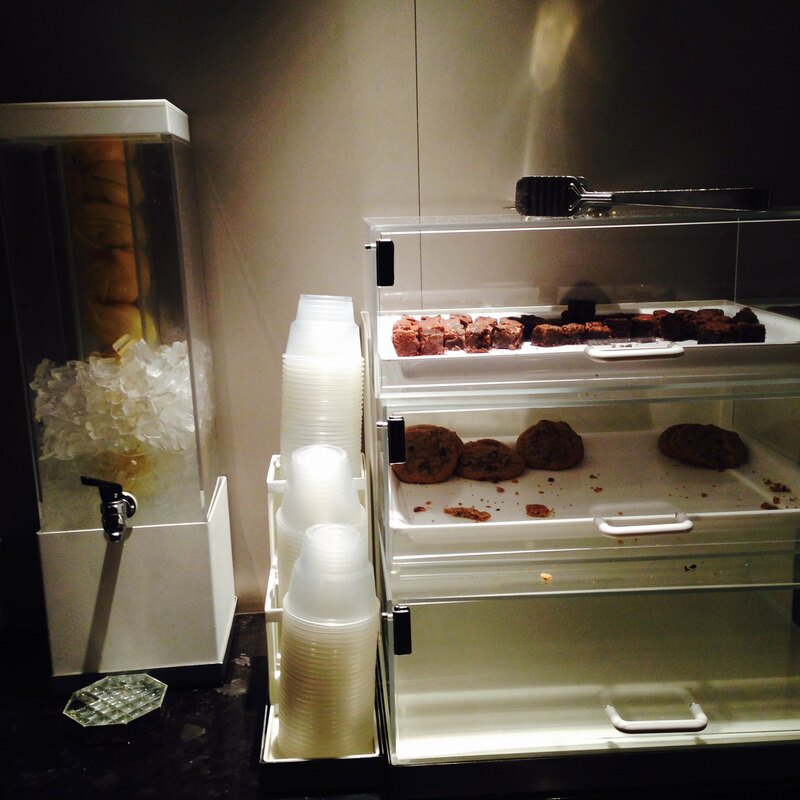 There are also ample power outlets – they are located by the side tables of the couches. They do display flight arrival/departure information by the entrance, and also by the snack section further away from the bar. 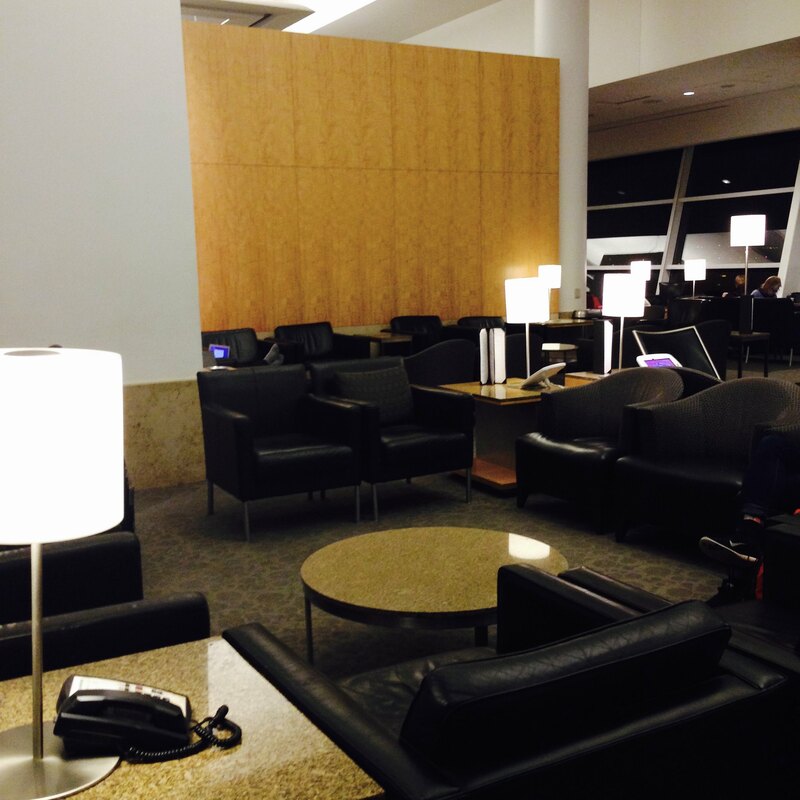 There’s nothing special about the Admirals Club. It’s a nice place to relax, grab a snack and a beverage, and get some work done. I do find their chit system to be a little bit sad, even though I don’t even drink.